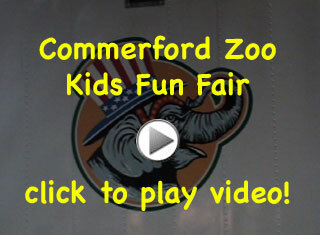 We here at Commerfords have been in the animal and amusement business over 40 years and now are looking to expand our operations to a wider variety of amusement rides presenting you with Safari Amusements. Safari Amusements is a great fundraiser for churches, fire departments, or any other charity or organization looking to raise money. Get the Flash Player to see this player to view this movie! Safari Amusements has alot to offer! Comfortable and Save Enviroment for children and Adults!